No marketer or sales professional knows everything, and reading blogs by others in the industry is an excellent way to remain innovative and keep your competitive advantage. From raving over Drift’s use of “tl;dr” in their post about how Glossier grew to geeking out over the implications of neuromarketing, we New Breeders love gaining inspiration and knowledge from experts and thought leaders in the B2B space. Drift is a conversational marketing platform that is working on changing the way B2B sales are done. They have a strong brand that epitomizes their promotion of conversational, personal marketing. Their blogs are formatted in ways that promote scannability with lists, are often conversational in nature and feature images of real people who work for or with Drift. In addition to providing case studies about client success, subject matter expertise and podcast transcripts, they also publish blogs that provide insight into how they run things. HubSpot's blog is a wealth of information with everything from best practices to how-to's to infographics and more. As the founder of the inbound methodology, HubSpot basically invented the idea of using a blog to grow your business and has done a fantastic job of maintaining a blog that exemplifies the inbound marketing methodology. Their blog categories of marketing, sales and service align to the flywheel, and each category provides an abundance of valuable content created with the readers in mind. For a long time, Neil Patel has been one of the pioneers of SEO and an expert on how to increase your traffic. Since growing organic reach is something every B2B company with an online presence should aim to achieve, his content is universally relevant. Neil Patel has worked in agencies, helping companies grow their traffic in addition to growing his own business through SEO, so he’s had exposure to multiple industries. His blog provides usable, actionable information through videos, written posts and podcasts. The topic coverage is comprehensive, and the posts are specific enough that you can read a blog or watch a video and then implement what you learned into your strategy. OpenView is a venture capital firm that focuses exclusively on B2B expansion stage SaaS companies. Because of their hyperfocus, they have a variety of specific, well-researched content aimed at businesses in that space. In addition to creating original content for their blog, OpenView also will curate or syndicate blogs from other relevant thought leaders to make it easy for readers to gain a comprehensive understanding of the covered topics. Vidyard is one of the premier video hosting platforms available to marketers today, and their content speaks to the value of video in marketing. Not only does their blog cover the big picture “why” around integrating video into your content strategy, they also cover how, and include videos in many of their posts to illustrate its value. InsightSquared is a sales analytics tool that provides reporting on marketing and sales functions. Their blog provides extensive content on pipeline management and the use of analytics to hone your marketing and sales efforts and bridge the gap between marketing and sales. Salesforce built a model that countless SaaS companies have tried to replicate. They’re doing an incredible job of growing their business and have been named the #1 CRM Provider for five years in a row. They are on the cutting edge of technology, which is reflected in their blog content. Their blog covers a wide range of topics from sales, marketing, software and the industry as a whole, in addition to featuring posts about their company culture. Sirius Decisions aims to bring actionable intelligence to B2B execs, and they conduct a lot of research to do so. They provide benchmark data and conduct studies on databases alongside partnering with other companies for research and reporting. Their blog covers a wide range of topics and features data from their reports and studies. PPC Hero focuses on paid-per-click (PPC) advertising and provides information related to how to leverage paid advertising. While their content does branch into industry news and PPC-related careers, the majority of their posts are about specific aspects of PPC like social, search and mobile. Business2Community has grown beyond a blog into more of a publication. They cover a wide range of topics and accept contributions. 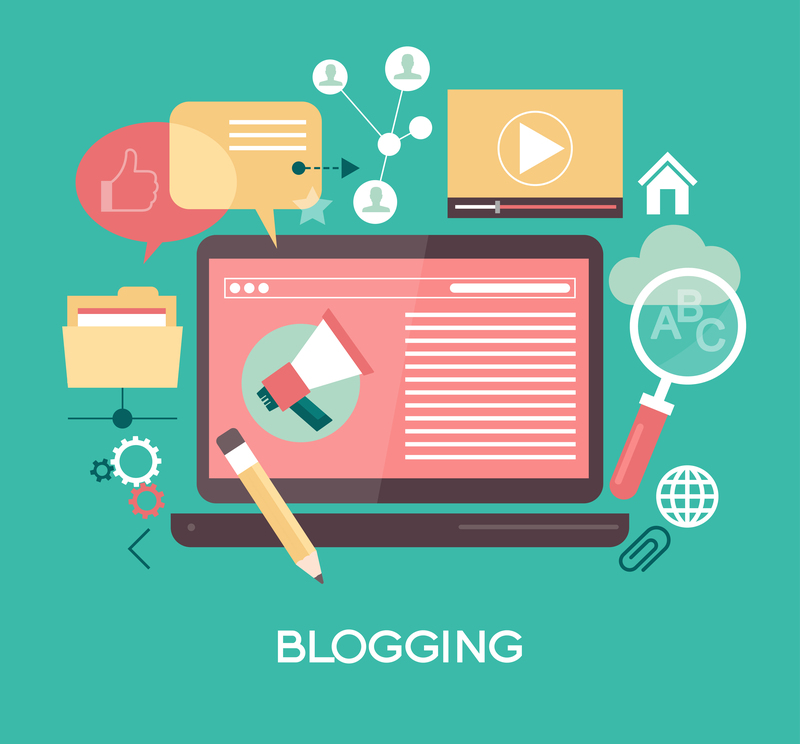 Because of the wide range of business-related topics covered, finding content relevant to you and identifying subjects you can write about in guest blogs for them is easy. B2B Marketing publishes marketing reports, hosts conferences and offers educational content to help B2B marketers grow their companies. Their blog features posts on marketing operations, social media and tech stacks. Sales Benchmark Index (SBI) conducts market research and develops growth strategies based on the information discovered in that research. Their blog posts are labeled as “insights” and cover topics ranging from revenue growth to segmentation and customer success. Their content is comprised of a variety of video interviews and written articles, and they offer podcast versions of their video interviews. Check out our Introduction to Business Blogging eBook to learn how to use a blog to increase traffic and leads for your company. This post was originally published January 9, 2014. Quinn works on New Breed's internal marketing team.